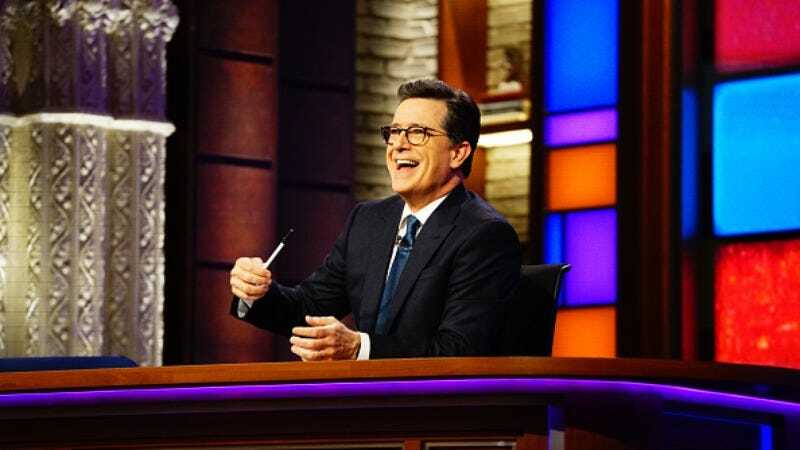 In one of The Late Show’s recurring segments, host Stephen Colbert enters a confessional to “unburden“ his soul to his god and his audience, at home and in studio. They’re mostly innocuous—he admits they’re not quite sins—though he did drop some truth on us with his recent concerns that every book might end up becoming an HBO series. And you can blame Colbert for the warning labels on those silica gel packets. This exactly the kind of not-quite-titillating stuff that will fill Stephen Colbert’s Midnight Confessions, a forthcoming book from Simon & Schuster. Colbert has selected his favorite confessions, which could include the revelation that he derives more satisfaction from yogurt pretzels than fatherhood, and they will be gathered for print and audio editions. Midnight Confessions is due out September 5, 2017.